As crazy as this may seem, 80 per cent of not-for-profit organisations are not aligned behind their sponsorship department, writes Bruce McKaskill, one of Australia’s most experienced and successful sponsorship specialists. This is a profoundly disturbing statistic. This was the clear finding of a recent survey of over 90 NFP senior marketers, development/sponsorship executives and general managers who participated in a Pro Bono Australia webinar on attracting “Sponsorship for Arts, Cultural and Community Organisations”. Why so disturbing, you may ask? that a potential 80 per cent of NFP’s are not fully aligned behind the objectives and/or endeavors of their sponsorship department is simply a waste: a waste of time, a waste of public funds, and a waste of opportunity. It is more likely from naivety than anything more sinister than that, but it doesn’t change the outcome. 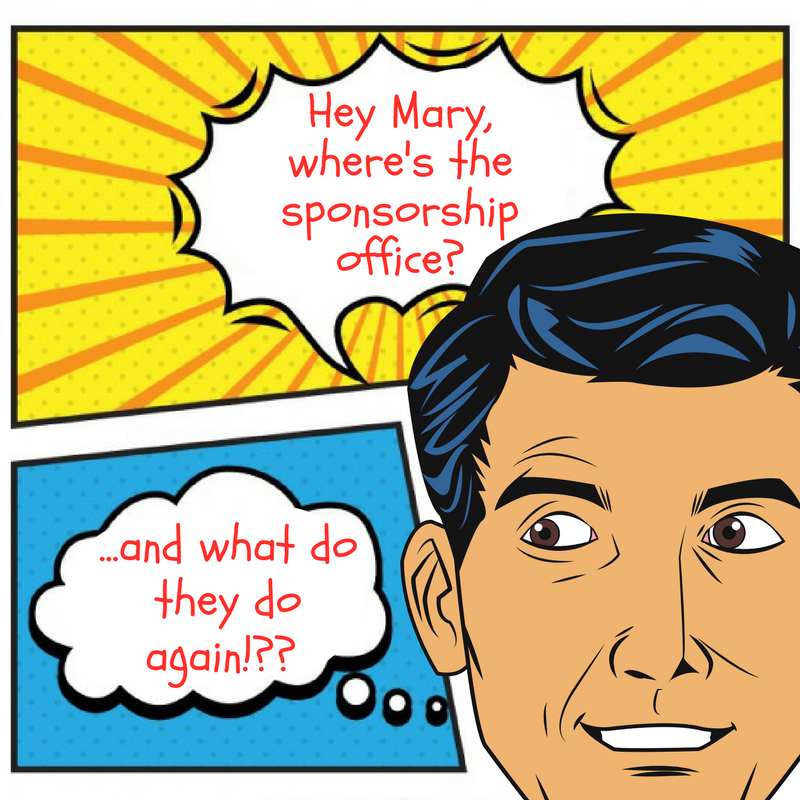 A lack of understanding as to the commitment and application required to succeed in sponsorship is way too common. Talent- A capable sponsorship practitioner, one who can sell as well as service, will cost a minimum of $100K, more likely $150K. If you’re not paying this then you are unlikely to attract the right calibre of personnel. Time – The average deal, assuming you have already optimised your organisation for sponsorship, will take 12-24 months. That’s for a medium to long-term partnership in excess of, say, $100K. Attracting sponsors under this amount can be quicker, but they can also be more problematic if they have short-term objectives that overwork your organisation for what would be a small return. Profit or loss – It may seem funny to talk about sponsorship as driving a profit or a loss, but let’s be clear up front, if you are attracting sponsors to lose money, change jobs. Be aware, though, that it also may happen without you intending so. Profit in sponsorship comes from an exchange in what both parties have in ABUNDANCE. Losses occur when either party is forced to deliver what they have in SCARCITY. A good example of abundance for a NFP maybe their brand IP, that is, logo, imagery or reputation. For a sponsor it could be in-kind services and to some degree cash. Scarcity for an NFP could be where they have to pay out of pocket costs to deliver sponsorship benefits. For a corporate it may be anything to do with time (as they don’t have any to spare), so time to adapt to your way of doing business, time to activate the partnership, etc, etc. Opportunity cost – If you could guarantee right now that if you invested the next 18 months in sponsorship it would yield zero, what changes would you make? In actual fact that’s the real and likely outcome for most NFP’s. If you had that time again, what would you do? Something different or the same thing, but better? This is really the party trick in this story, because probably you don’t know, despite it making you uncomfortable! NFP’s get misty-eyed about cash, but often a corporate will deliver much more in non-cash sponsorship because they have it in abundance and are committed to success. Corporates are very used to buying well, for example media buying. But remember, they are also good at “buying” your sponsorship. So be clever, flip this back on them and let them work for you by tapping into their abundance. Synergy – When you strike on an enabling partnership, be that your life partner or a partner in business objectives, two plus two can equal many times more than four. When all you have to do is what you do best and someone else does as good in a complementary way, then you have a compounding impact, a multiplied outcome. When each other’s skills are clear, where input is aligned to abundance and critically, where objectives are SMART, then the outcome can be profoundly more than the simple sum of two parts. Organisational Alignment – Wasteful or Wonderful? Realistically, the best place to be is one where you have choice. Choice comes from positioning your organisation to be ready to grasp what it needs to grow and prosper. Be that sponsorship or any other third party support. organisational alignment with everyone behind the same objectives. Sponsorship is but one channel for sustainable revenue, and perhaps the toughest one, but only two in 10 NFPs are getting it right. Bruce McKaskill is chairman of Fit Sponsorship Academy, an online learning course that teaches and coaches arts, cultural and community organisations to sponsorship success. McKaskill is also the managing director of Fit Sponsorship Group, Australia’s most successful sponsorship agency specialising in supporting Arts, Cultural and Community organisations. Enrolments for the February 2018 intake of the online course How to Build Your Corporate Sponsorship The Smart Way are now open. Use the link below to access a 20% Early Bird discount when you register before December 22nd, 2017. Click here to get your 20% Early Bird discount (your discount will be automatically applied at checkout). Early Bird discount only available until December 22, 2017.